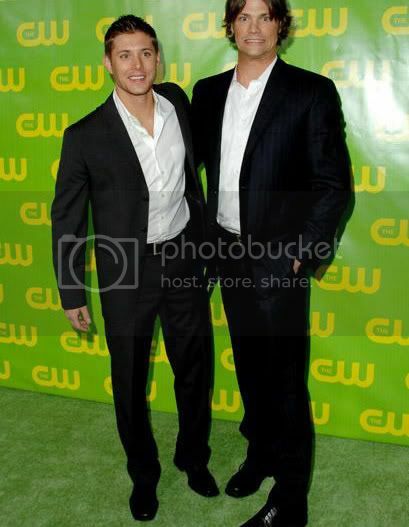 Oops, now I did it again... *gg* Here are another 12 J2 icons. Jared and Jensen in love just being friends! Plz comment if taking & credit if use :) Hope you like them! Thanks!!! I snagged some. Will credit when I use! Grabbed no.4...will credit when I use it. But they are ALL great. It was ahrd to choose. Thanks for sharing. LMAO!! The #3 takes award!! Hee! These are great :D Taking 8 and 11. No, thank YOU for commenting!! :) Glad you like them. Cute icons! Snagging #8 and will credit when using. Thanks! Those are awesome, made my laugh out loud. I have somehow(impossible but still) missed the original pics of 4 and 12, could you point them out for me? Yeah, they are definitely in love!! *lol So very obvious! !